Obituary – Wagner, George Joseph « Perry High School Alumni Association, Inc.
F. F. A. – 50-54. ﻿George Wagner, 61, Perry, died at 9:05 a.m. Thursday, April 10, 1997, at Perry Memorial hospital. Rosary will be at 7 p.m. Sunday at St. Rose of Lima Catholic church. Funeral mass will be at 10 a.m. Monday at St. Rose of Lima Catholic church. Rev. Kevin Devlin will officiate. Burial will be at the Mount Carmel Catholic cemetery under direction of Brown Funeral home. Memorials may be made to the Perry Memorial Hospital Foundation in care of Brown Funeral home. Wagner was born at Perry on April 6, 1936, the son of Joseph N. and Josephine C. (Steinfort) Wagner. He attended Harmony and White Rural schools and St. Joseph Academy and was a 1954 graduate of Perry high school. He served in the United States Army from 1955-1958. On April 8, 1961, he and Frances M. Gollon were married. Wagner farmed and raised cattle in to Lucien area and was employed at The Charles Machine Works for 34 years. He was a member and served on the board of St. Rose of Lima Catholic church. He also was a member of the Knights of Columbus. 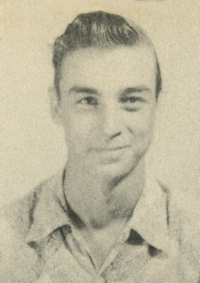 In addition to his wife, survivors include a daughter and son-in-law, Kellie and Ted Newell, Alexandria, VA; two sons and a daughter-in-law, Gregory Wagner, Perry, and Evan and Shelby Wagner, Celina, TX; a grandson, Adam Mitchell Newell, Alexandria; his father, Joseph Wagner, Perry; three brothers, Leo Wagner and John Wagner, both of Perry, and Sam Wagner, Virginia Beach, VA; and one sister, JoAnn Stanley, Perry.